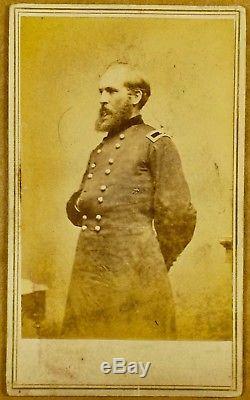 Authentic, vintage CDV photograph from the Civil War era. Returnable for any reason within 14 days. View the scan for good representation of the quality. 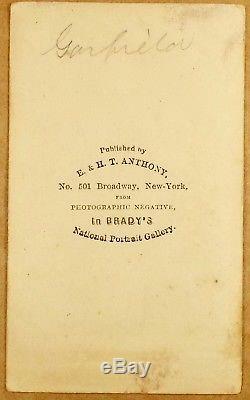 The item "CDV General James Abram Garfield Civil War" is in sale since Friday, November 9, 2018. This item is in the category "Collectibles\Militaria\Civil War (1861-65)\Original Period Items\Photographs". The seller is "1farmgal" and is located in Gambier, Ohio. This item can be shipped to United States.